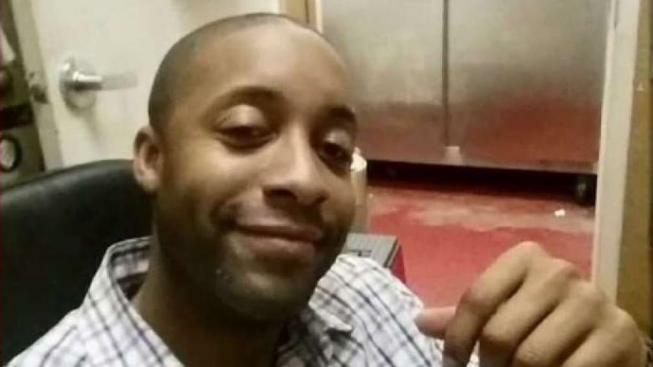 The missing man — 39-year-old Eddison Hermond of Severn, Maryland — was last seen trying to help a woman and her cat behind a restaurant while churning, brown waters ripped through Ellicott City's flood-prone downtown. Howard County Police Chief Gary Gardner said the missing National Guard member and U.S. Air Force veteran had been with a group at the La Palapa Grill & Cantina. He said Hermond was trying to help others by holding a door open as brown floodwaters coursed through the restaurant when a woman approached, needing help. "He, along with some other folks, went back to assist her and unfortunately during that effort they saw him go under and water and not surface," Gardner told reporters, adding that the others made it out of the area safely. Simon Cortes, who owns the restaurant, described Hermond as "a super nice guy," who was frequently out in the community showing support when it worked to rebuild from the devastating flooding that ravaged the former mill town in July 2016. Parts of Howard County remained under a flood warning Monday morning, but Storm Team4 says the threat for more heavy rain has passed, and the likelihood of more flash flooding is decreasing. However, residents and business owners will still have to deal with the damage left behind. Howard County has opened a hotline at 410-313-2900 to help provide assistance for people affected by the flooding in Ellicott City. Officials also shared a hotline for those struggling with mental health or the emotional toll of the floods. Those in crisis or needing to talk to someone should call Grassroots Hotline at 410-531-6677, officials said. For emergencies, people should call still 911. The county also created a flood recovery website. People who need shelter, food or other necessities can call the Maryland United Way Helpline at 211. Local resident Nathan Sowers, owner of the River House Pizza Co., an outdoor eatery in the old mill town's business district, said that after all the hard work rebuilding from the destructive 2016 flood he's feeling a bit overwhelmed at the prospect of tackling yet another revival. Asked whether he's committed to building back anew he said: "We'll see. It takes a lot of money and a lot of time." 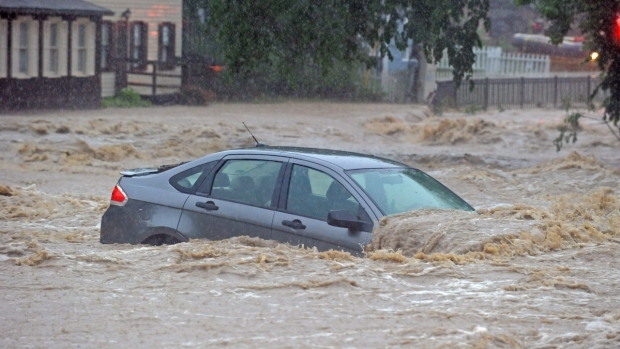 Sunday's dramatic flooding tore up streets and swept away dozens of parked cars in the city, which sits in a ravine on the west bank of the Patapsco River, about 13 miles west of Baltimore. United Way of Central Maryland reestablished the ECStrong Fund to raise money. The fund originally was created after the 2016 flood. To help, text "ECStrong" to 71777 or go to the fund's website. Business owners are not yet permitted to claim property or assess damages at this time, Howard County officials said about 10:15 a.m. Monday. Business owners are asked instead to monitor social media for updates. The official Howard County government Twitter account is available here.